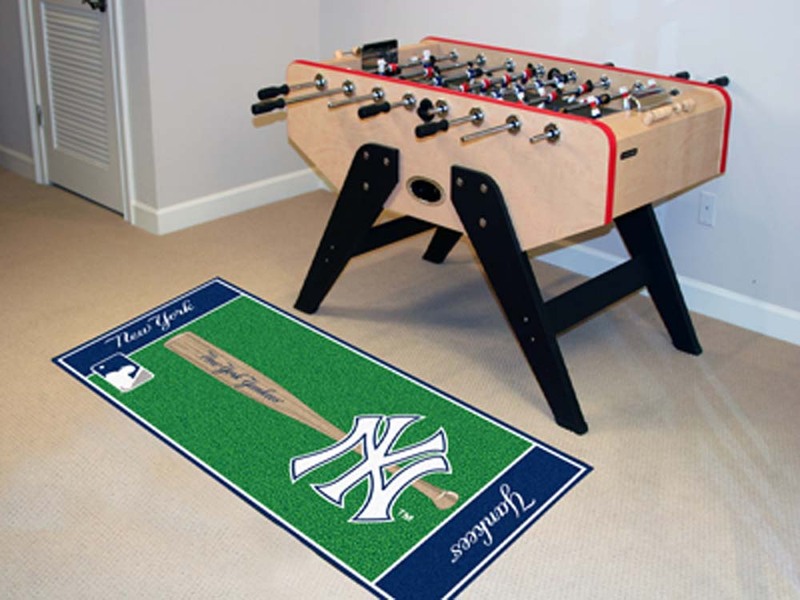 Make it a "Go Yankees™ Go!" Christmas! Celebrate the New York Yankees™ unrivaled legacy of greatness while getting in the Christmas spirit with the New York Yankees Christmas Tree Collection, available from The Bradford Exchange. Your officially licensed MLB tribute to the Yankees begins with Issue One, 4 Ornaments: Judge, Sabathia, NY cap logo and New York road jersey logo. Next to arrive will be Issue Two, the 3-foot, pre-lit Christmas tree. Soon your collection will continue with Issue Three, Yankee Stadium™ - the Main Gate sculpture, "Yankees Top Hat" logo ornament and FREE tree skirt and additional New York Yankees Christmas ornaments, figurines, illuminated buildings and decorations for your tree, each issue to arrive separately. This impressive masterwork of handcrafting shimmers with light and Yankees spirit, from the illuminated "Christmas Star" at the top of the 3-foot tall tree to the 50 glowing lights across its shiny blue branches. The gleaming etched-brass ornaments fill the tree with your favorite players including Aaron Judge, CC Sabathia, Aroldis Chapman and more. Your collection builds with illuminated buildings and fan figurines to help recreate the excitement that surrounds Yankee Stadium™ on game day. As a perfect finishing touch, the tree completely wraps in a satin-finished Yankees ribbon. A proud and festive display for your own home, this Christmas tree also makes a terrific MLB fan gift. But strong demand is expected, so don't wait. Order now! If you can't be at Yankee Stadium® on game day, sharing a love seat with your sweetheart is just as precious. Now a New York Yankees™ Precious Moments® figurine champions your shared love for each other and for the legendary ball team. The Hamilton Collection is proud to introduce the Every Day Is a Home Run With You New York Yankees Figurine, an exciting first ever officially licensed by Major League Baseball Properties, Inc. Master artisans have created this limited-edition Yankees™ baseball figurine, making it a definite win for fans. This fine collectible is meticulously handcrafted of bisque porcelain, reserved only for our Precious Moments figurines, and hand-painted to ensure that no two are alike. It showcases a loving Precious Moments couple watching TV from their love seat while rooting for the New York Yankees, making it a very special collectible figurine for baseball fans. All dressed up in fan gear, including wearing the distinctive #1 Fan "foam" finger, this Yankees duo creates a celebration of pride you won't want to miss. Strong demand is expected, hurry and order now! With a remarkable seven World Series™ titles, countless career accolades and record-breaking stats throughout his 18 seasons with the New York Yankees™, slugger Mickey Mantle will forever be remembered as one of the finest baseball players in history! Now, honor the extraordinary career of this Yankees™ icon with the Mickey Mantle Laser-Etched Glass Sculpture, available from The Hamilton Collection. Boasting Mickey Mantle portraits, career highlights and more, this Mickey Mantle memorabilia makes his legacy shine! Officially licensed by Major League Baseball Properties and the Major League Baseball Players Association, this fan-tastic Mickey Mantle commemorative sculpture features an optically pure glass baseball laser-etched with over a million precise laser points to create a three-dimensional image of "The Commerce Comet" knocking another one out of the park. Absolutely every radiant detail is captured with crystal-clear clarity, from the baseball's stitching to a replica of Mantle's trademark signature. 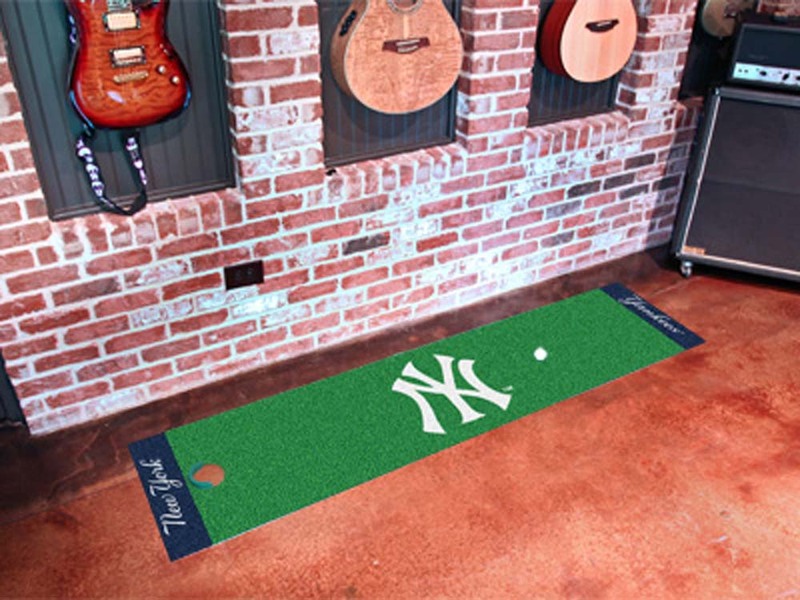 It rests atop a custom-crafted base emblazoned with inspiring portraits of "The Mick®", New York Yankees logos, and important career milestones. Strong demand is anticipated for this limited-edition Mickey Mantle commemorative sculpture, so don't delay. Order now! Joining the New York Yankees™ in 2016, slugger Aaron Judge is a star powerhouse, and the fastest player in history to hit 60 career home runs. With balls flying off his bat at nearly 120 mph and soaring at 400 feet, it's no wonder why he was named to the 2018 AL™ All-Star team. Now, you can display a proud tribute to this amazing athlete with the Aaron Judge Laser-Etched Glass Sculpture. Available from The Hamilton Collection, this Aaron Judge baseball sculpture is the perfect way to honor such a talented ball player. Officially licensed by Major League Baseball Properties and the Major League Baseball Players Association, this tribute showcases an optically pure glass baseball laser-etched with over a million precise laser points that display a breathtaking three-dimensional image of Aaron Judge hitting a grand slam. Every detail is highlighted in crystal-clear clarity, from the wrinkles in Aaron's uniform to authentic "stitching" to his replica signature. The baseball sits atop a custom-crafted base featuring full color portraits of Aaron in action as well as New York Yankees logos and career milestones. 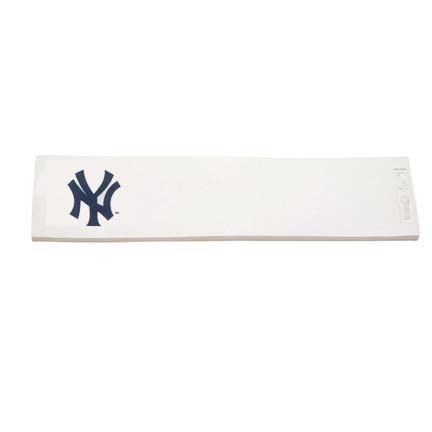 Display it in your own home or give it as the perfect New York Yankees fan gift to someone special. Strong demand is anticipated for this limited-edition sculpture, so don't delay. Order now! From the first crack of the bat to the game-winning run, Yankees™ fans show their support time and again. Now, stir up your New York Yankees™ pride any time you like with a wall clock specially created for those dedicated fans: the Moments of Greatness: The New York Yankees Cuckoo Clock, officially licensed by Major League Baseball Properties, Inc. and available from the Bradford Exchange. It's a unique and timely tribute to baseball's winningest team and sure to become a home run fan favorite, and the edition is limited to just 10,000.This collectible Yankees wall clock is meticulously handcrafted and hand-painted in authentic Yankees blue and white with gray accents. Boasting a quartz-accurate timepiece, it also showcases a full-color scene of New York's Yankees Stadium™ on a beautiful game day. The clock face features classic Roman numerals and a bold "NY" logo with a "Go Yankees" banner just below. Sculptural baseball bat weights and a Yankees baseball pendulum add game-day pizzazz, and here's the wind-up: a cuckoo bird in his Yankees cap pops out and chirps on the hour, along with the sound of a cheering crowd. A grand slam for any MLB® fan and a baseball tribute like no other, this New York Yankees cuckoo clock is sure to excite aggressive demand, so hurry. Order now! Take a trip to the ballpark aboard The New York Yankees™ Express! This exciting Major League Baseball train collection gets the game going with Issue One featuring an impressive diesel locomotive. Then things really heat up with the arrival of Issue Two, the coordinating New York Yankees engine, which includes a FREE HO gauge track. Soon the HO scale train collection continues with Issue Three, a passenger train car, which includes your FREE power pack. Additional coordinating New York Yankees train cars, each a separate issue, will follow. Available from The Bradford Exchange, Hawthorne Village Division, this collectible illuminated train collection is fully authorized by Major League Baseball Properties, Inc. and the MLBPA. The colors and symbols of the New York Yankees embellish every train car, making this exciting electric train set perfect for any Yankees fan. The classic diesel engine even has a working headlight, and the passenger cars are lit from within! There's no doubt, this collectible New York Yankees train collection is a real winner, but you'd better hurry if you want to get in the game! Strong demand is expected - order now! Joining the New York Yankees™ in 2017, star right fielder Giancarlo Stanton is one of the biggest powerhouses in Major League Baseball! Famous for his long home runs, this slugger led the league in 2017 with an astounding 59 home runs. Now you can honor this talented right fielder with the Giancarlo Stanton Laser-Etched Glass Sculpture, available from The Hamilton Collection. Showcasing Giancarlo Stanton portraits, career highlights and more, this Yankees™ baseball sculpture is the perfect tribute to such a talented player! Officially licensed by Major League Baseball Properties and the Major League Baseball Players Association, this commemorative sculpture features an optically pure glass baseball laser-etched with over a million precise laser points to create a three-dimensional image of Giancarlo Stanton in the final moments of hitting a home run. Every detail is captured with crystal-clear clarity, from the glossy shine on his helmet to a replica of his signature. The glass baseball rests atop a custom-crafted base showcasing portraits of Giancarlo plus New York Yankees logos and important career milestones. Display this limited-edition sculpture in your home or give it as an unforgettable New York Yankees fan gift. Strong demand is expected, so don't delay. Order now! Winning the biggest prize in baseball is no easy feat, but one team has done it a record-smashing 27 times! A stat like that deserves a tip of the hat, and we're leading the way with the officially licensed New York Yankees™ World Series™ Lamp, available in a limited edition from The Bradford Exchange. 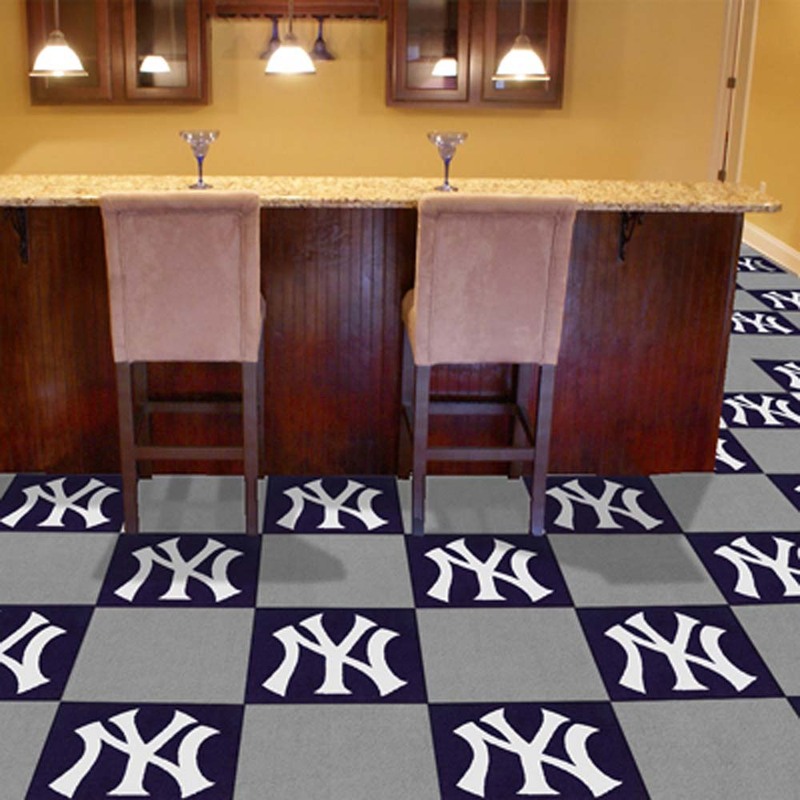 Standing an impressive 1-1/2 feet tall, its bold yet clean design stylishly embodies the Yankees™ winning spirit for a home-run addition to any MLB home decor! Inspired by the Commissioner's Trophy™, the gleaming base of this table lamp is meticulously sculpted to recreate every detail of the iconic original and finished with an eye-catching medallion that puts the Yankees logo front and center. Topping the lamp is a custom fabric shade in Yankees blue featuring the classic "NY" cap logo. Wrapped around the edges are the years of every single New York Yankees World Series title. A silvery baseball finial adds the perfect crowning touch. A proud display for your own home, this table lamp also makes a terrific New York Yankees fan gift. But strong demand is expected, so don't wait. Order now! The New York Yankees™ have been home to several of America's greatest baseball players as well as victorious moments and exciting games. Honor this outstanding legacy with the Home Run New York Yankees! Tote Bag, a fine fashion design available exclusively from The Bradford Exchange. Show your pride on game day and every day when you carry this officially licensed women's shoulder tote bag! Black faux leather dual handles and white-striped trim accent this chic MLB apparel design, which is of soft poly twill fabric featuring the team's iconic logos on the center panel and outside pockets. A removable team-colored tassel charm adds extra glam to this home-run style, while the Yankees™ blue center panel and side pockets showcase a tone-on-tone print of the New York Yankees logo in a repeating pattern. With a top zip closure to keep all of your belongings secure, this generously sized tote also features two large exterior pockets, a center zip compartment that is large enough to fit a laptop and an inside zippered pock and 2 slip pockets. Strong demand is expected, so don't wait. Order now! You're a Yankees fan day-in and day-out, so why not flaunt your team pride for your favorite MLB® team with this stylish New York Yankees™ handbag, a custom design from The Bradford Exchange. Go from a day at the ballpark to a night on the town in effortless fashion when you carry this designer-style bag with you!Officially licensed by Major League Baseball Properties, Inc., this New York Yankees handbag is expertly handcrafted with twill blue fabric and features a custom print that says New York Yankees, as well as iconic Yankees pinstripes and team logo. At its center is the Yankees logo set with glittering simulated jewels while black leather handles, gray accent trim and silvery hardware complete the look. Plus, this spirited bag includes a roomy main compartment, interior zippered pocket and two accessory slip pockets to hold all your essentials. 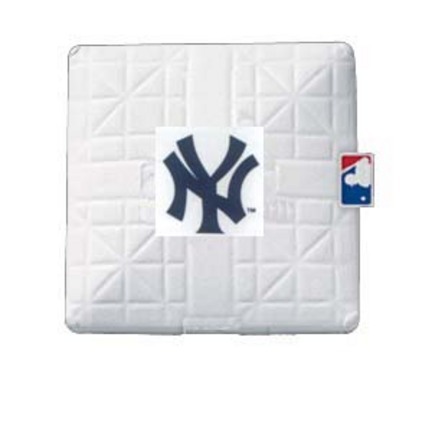 Makes a fashionable New York Yankees fan gift, but strong demand is anticipated. Order now! The below products are from Online Sports. 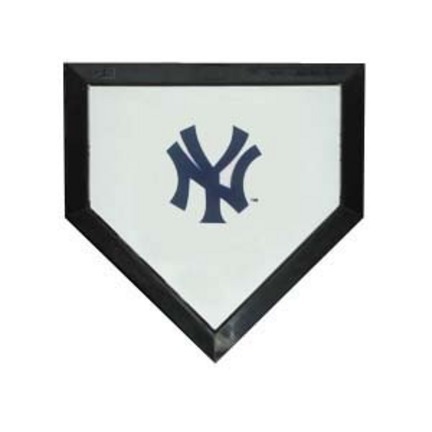 New York Yankees 18" x 72"
New York Yankees 30" x 72"
New York Yankees 18" x 18"